The Building Information Modeling (BIM) process has grown from a revolutionary way of working to business as usual for many in the architecture, engineering, and construction (AEC) industry. While the shift may seem abrupt to some, BIM process adoption has been more of an evolution. And BIM is still evolving. Nowhere is that more true than in steel design and construction. A 2014 McGraw Hill Construction survey found that 67% of engineers in North America use 3D modeling, and that number is likely higher today. BIM radically transforms the way that structural and steel professionals work. Take Parsons Steel Builders, an Arizona-based steel fabrication and erection company. The firm recently switched from 2D detailing using Autodesk® AutoCAD® software to a BIM process. Parsons made the switch by choosing to work with a BIM tool based on the familiar AutoCAD interface. This helped the Parsons’ team transition in just a few days, and Parsons saw eye-popping time-savings on just its first BIM project, which the team detailed in 75% less time than originally estimated. The intelligent data that underlies the BIM process sped up virtually every aspect of their steel detailing process. Perhaps your firm saw similar productivity jumps when it moved to BIM. Well, the best may be yet to come. Are you regularly sharing BIM models with other disciplines and collaboratively iterating changes? If not, you’re not alone. Many in the industry still use BIM in isolation. Most organizations follow the BIM process internally, but only occasionally share models to coordinate. For high performing project teams, a better way to use BIM has evolved—uniting project stakeholders across teams. Working collaboratively, the entire steel design, fabrication, and construction team shares model information both up and downstream during the project to iterate changes and deliver higher-quality work more efficiently. Detailing and fabrication become more connected to design. Traditional ways of working are siloed. 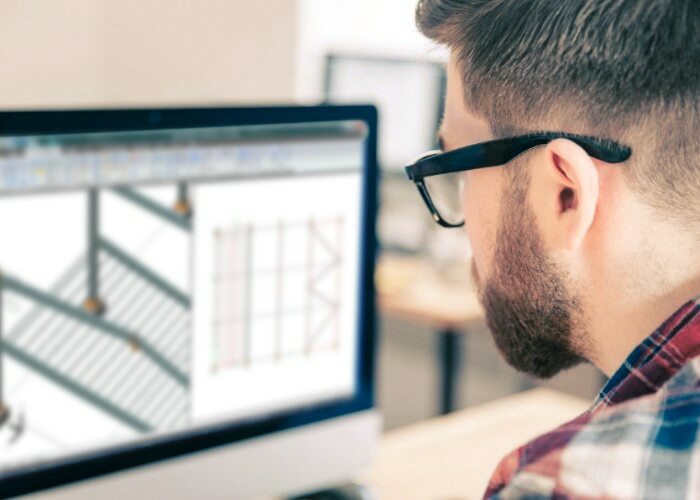 Design, detailing, fabrication, and construction teams model separately, connecting via email, phone, or rare in-person meetings over the course of the project. This can lead to miscommunication. Just as crucially, the detailing, fabrication, and construction teams have few opportunities to enhance the constructability of the design until very late in the project. By relying on a collaborative BIM process that shares data from the whole team, each firm can use the full structural model. A bidirectional link between design and detailing tools facilitates visibility into the evolving design. The detailing and fabrication team contribute their expertise to the project more easily. They can also prepare more-accurate estimates faster, enabling the design team to address budget issues earlier. Even with a BIM process, many detailers have significant rework to do after uploading the design models into their detailing tools. That’s because interoperability issues plague the process. Detailers have learned not to trust the reliability of the file translation process. So they remodel many details. The process is completely transformed with a more collaborative approach to BIM. Detailers simply bring models into their BIM tools to automatically generate shop drawings. Better interoperability keeps rework to a minimum. Instead of remodeling elements already included in the design model, the detailer can focus on adding details needed for fabrication and construction. What’s a leading source of steel fabrication and construction issues? Miscommunication and errors due to poor coordination. Late changes might get missed or incorrectly incorporated into shop drawings. Or a welder might misread complex 2D plans. While such errors are not common, they can happen. With BIM—even a disconnected BIM process—many types of coordination issues, such as clashes, get spotted early in the design process. That’s because 3D models make it easy to see interferences that might get overlooked with 2D processes. Widely used BIM coordination and clash detection tools help identify less-obvious clashes. Fewer issues are left for detailers and fabricators to root out. Less rework during detailing reduces the risk of errors creeping into the remodeling process. And 3D visualization of how the steel comes together can help prevent errors in the field. 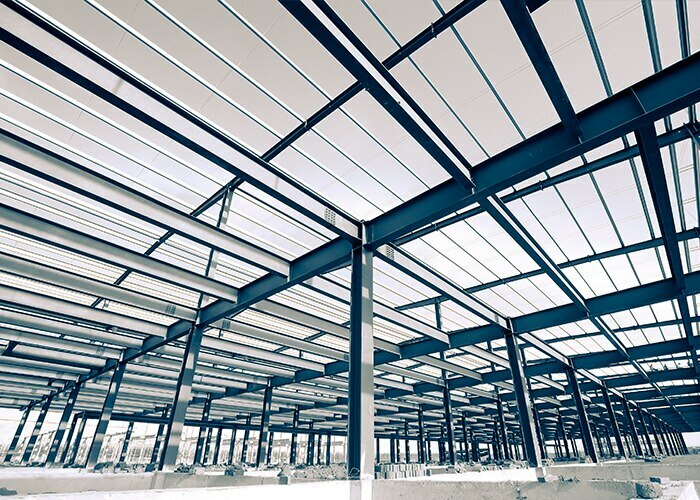 Steel fabrication errors drive up costs and cause significant delays. They can’t happen on a successful project. Because of that, steel designers, detailers, and fabricators all use rigorous QA/QC processes to resolve any and all issues before fabrication. These rigorous processes are especially time consuming with 2D tools. As mentioned earlier, it’s easier to spot errors with a model-based process. That’s one of the reasons why BIM tools are so prevalent in the steel industry—they facilitate QA/QC processes. A collaborative BIM process accelerates QA/QC even more. The bidirectional links between design and detailing tools drive many types of coordination issues out of the process. Less rework further reduces opportunity for error. The result? Closer coordination from the very beginning speeds QA/QC because there are fewer issues to resolve. Look at the 4 items listed above. Each advantage of the collaborative BIM process delivers quality-enhancing benefits to steel design, detailing, and fabrication workflows. And they each deliver another win—time-savings. Less rework saves time, as does a streamlined QA/QC process. And preventing even a single error from making it into the field can save significant time—and money. The time-savings that come from a collaborative BIM process extend beyond those flowing from the benefits highlighted already. The intelligence of the BIM process makes it easy to use templates to generate shop drawings faster. With a more linked process, you connect detailing to your fabrication tools by automatically generating the data needed to drive CNC machines. You can also speed the data-generation process for welding robots. TSI Structures Ltd in the United Kingdom recently adopted a collaborative BIM workflow. 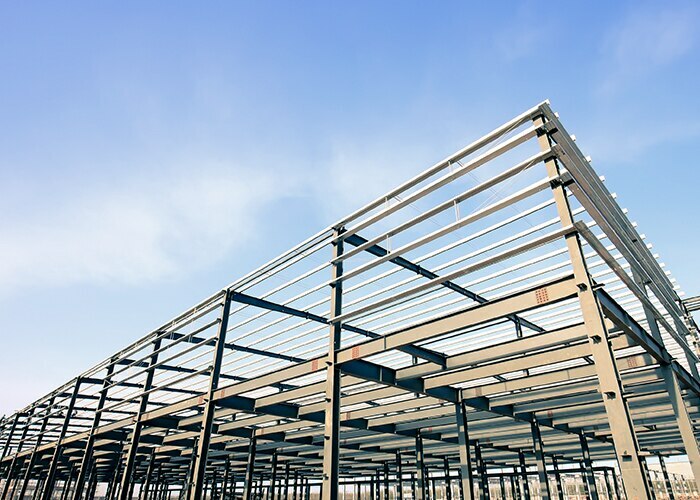 Bidirectional links between TSI’s detailing tools and the structural engineer’s design model shaved 20% off the firm’s anticipated schedule on a recent hospital construction project. 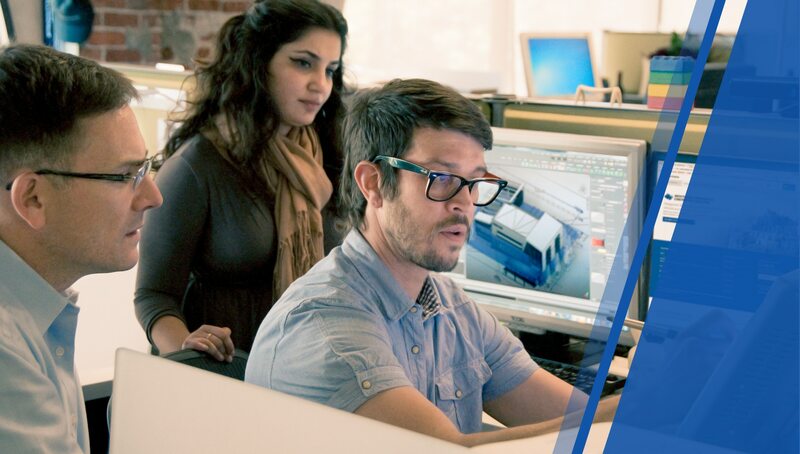 Get a closer look at the collaborative BIM workflow for yourself. 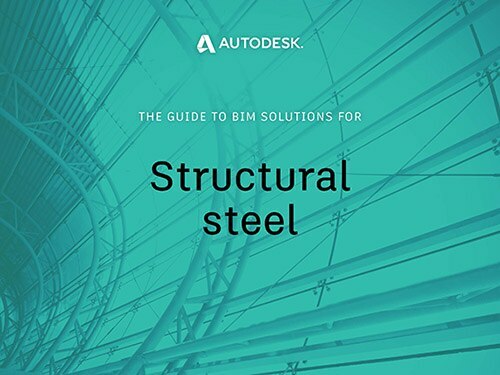 Download “Connected Fabrication: The BIM Implementation Guide for Structural Steel eBook.” The ebook will walk you through a transformed design-to-construction workflow. Ready to speak to a sales representative to discuss your purchasing options? Call our toll free number: 1-844-837-2148 or click the link below to have someone contact you.